A company by the name of Atom Bank is redefining what mobile banking is all about. The startup was recently awarded a banking license in the UK but unlike a traditional bank, there won’t be any physical branches or ATMs of its own. Atom Bank will operate entirely via mobile application. Its CEO, Mark Mullen, said they’ve designed a banking app that’s in tune with how people think about their money. The app-based approach, he added, lets the company use all of the features of a mobile device to provide a slick and personalized experience. Mullen said Atom Bank would be different than your ordinary bank although he neglected to provide too many details as to not tip off the competition about what they’re working on. He did, however, note that their inspiration isn’t coming from the banking industry but from tech companies. The executive further let on that they’re working on biometric security for the app. All of this sounds great but the reality is that Atom Bank will need to partner with at least one "real" bank so customers can have a place to deposit cash and checks. Atom Bank’s website doesn’t reveal too much else, either. But if you’ve got a few minutes to spare, hit their site, scroll to the bottom and press the “Next” button. Then press it again. And again. And don’t stop. Good times. 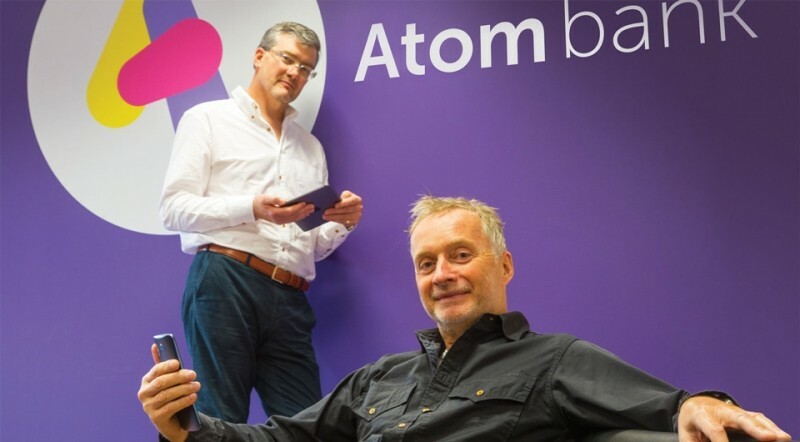 Atom Bank is set to launch later this year in the UK. If you’re looking for a similar solution in the states, Simple and Moven may be worth a checking out. BankMobile has already established this concept in the states, and I've got no complaints thus far outside of no way to deposit cash (e.g. a branch, ATM). Intel pushes Atom into mobile arena with "Moorestown"